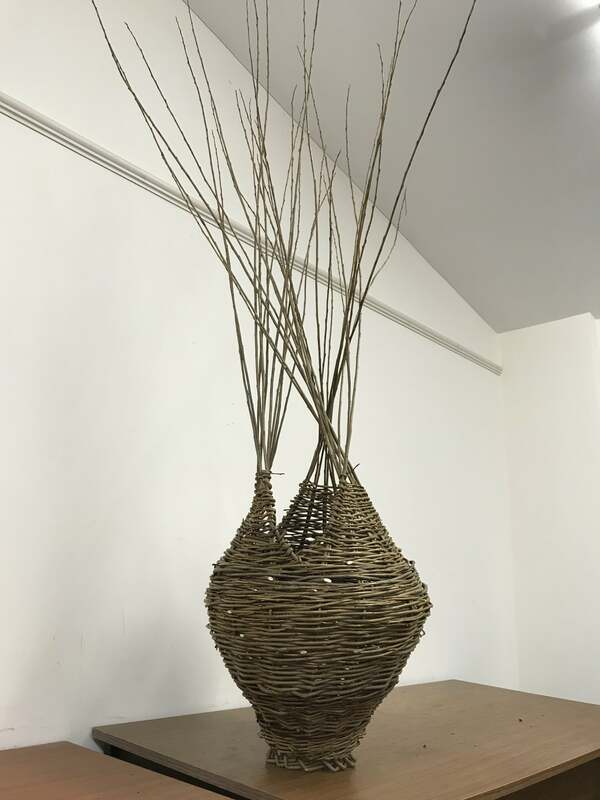 Yesterday I taught a very wonderful group of students my new Willow Lampshade Sculpture Day at Coates English Willow. 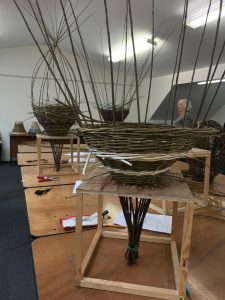 Every student had previously attended one of my Willow Sculpture Days and had clear ideas of what they would like to achieve in a day. 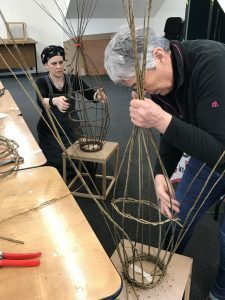 So we threw out my lampshade templates and designed 5 individual, beautiful, and rather large lampshades from scratch! 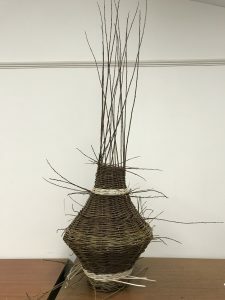 Here’s photos of our lovely day – weaving lampshades and finished creations. 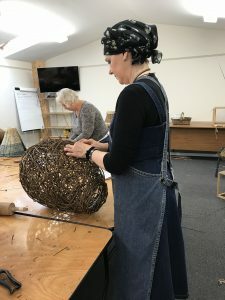 My students created two free weave droplet lampshades, a flower form that evolved into a giant poppy head floor lamp, a Lin Lovekin inspired lampshade and a giant bottle shaped floor lamp. It was a long day, (we were all very ambitious!) but the results were truly stunning. 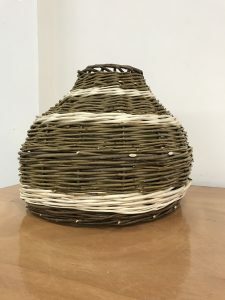 I can’t wait to see photos of these lampshades in situ. 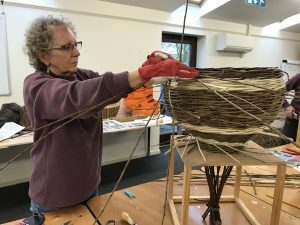 Thank you to Amanda, Sheila, Val, Morag and Mary for such a fulfilling Willow Sculpture Day.